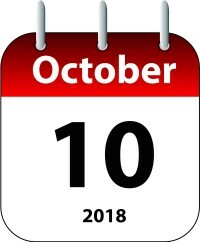 The all candidates event was to be held on Wednesday, October 10, 2018 but has been cancelled. The Cobourg Taxpayers Association issued a press release this morning. As we stated in the release, we believe it is important to get the issues out and to see where the candidates stand. Although it’s a year away, the Cobourg Taxpayers Association announced today that it will hold an all candidates evening for the 2018 Cobourg council municipal election. The 2018 Municipal election will be held on Monday October 22, 2018.